Crikey hell. I think I’m in love. Niv Mizzet has a new best friend, he’s a 20 feet tall self-resurrecting bug man that brings his own little bug friends. Expensive for the color combination, but so worth it. Imagine the chaos this will cause in a wheel deck. Well as Commanders go he’s nothing ground breaking. Solid card, but I’m not too inspired to build a deck around him like I am the Scorpion God. Was anyone else expecting the Locust to be u/b, Oona-style mill?? Like thematically, they consume and reproduce. Don’t get me wrong, I love the card, and I’m glad r/b finally has a viable aggro general in EDH; it’s just not what I expected. Lol talking casual edh of course; it could definitely see play in less competitive playgroups. I think my Nekusar deck just preordered every copy of this card in existence. Hello Locus god, meet Nin, she’s a pain artist. I think you two will get along just fine. My God! 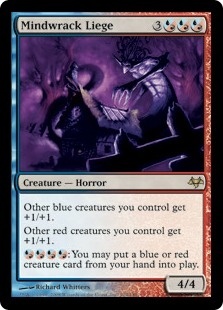 Skullclamp into a phyrexian/ashnod’s altar….look upon your Izzet boardstate as card draw triggers go wild. I’m surprised the Locust was Izzet. Seems like the most black of the bunch. Plus what Darth said below, locusts eat a lot, which is as much a red thing as black. As i told Zombie, Decimator Beetle. Oh great, Skullclamp totally needed to become splinter twin to become broken. That reminds me, that really makes this into Niv-Mizzet 2.0. It might be better, actually. needs 3 cards though. however a as a niv miz player i have to agree that locust is better simply because he has a better costed and the combo pieces he needs are colorless as well. 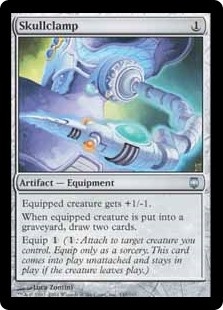 Wait, so does the whenever you draw trigger both of the draws with skullclamp? If so then it’s way better. Also, commander tax is negated. I really just hope the UB god isn’t mil. I want to build a non-mil UB deck Commander deck but there is no good commanders to do so unless I build UB Zombies. No idea. Maybe it’ll eat zombies while producing scarab swarms. Who knows. The card isn’t lacking by itself but as a Commander it is expensive and requires a lot to be good. The ability to come back almost infinitely is great but overall it is going to be difficult to play as a Commander. It is expensive and can be a major threat so it will usually get removed immediately so you can’t just overrun them with tokens. I just feel it is better as a support card to other decks like Arjun or any wheel deck. I believe I’ve found my next commander. I’ve figured out that so far the two gods synergize with one another, Scorpion creates -1/-1 and when that creature dies, draw a card, Locust is whenever you draw a card put a 1/1 on the field so that means that last one HAS to be whenever a creature enters the battlefield put a -1/-1 on target creature. I hope it is some variant of that ability now, that sounds like a fun chain of card draw. I was definitely expecting B/G for a Locust…. Neat card tho. Reminiscent of Niv-Mizzet. It says hi, I say bye. there doing three gods on girixis. i was expecting B/G as well but there wanting to help nicol be over powered not like he needed the help. That means bolas gets his green buddy Garruk when he fights the inevitable “Gatewatch Somehow Is Back” buddies. well, these are Bolas’es creations, they might be locked to a combination of red, black, or blue. and considering out of the theros brand gods ru, ub and rb generally are the least flexible for what you would realistically play them in it does make up for the lack of diversity. we also need a card for what happened to Hapatra, so that might be your bg legend. Another Hapatra creature card immediately following her first printing in the prior set would be hilariously awkward for both Limited and flavor reasons. she may be either losing or gaining a color like neheb the eternal losing black and samut the tested losing white? Samut lost color identity White but she definitely kept the flavor of White in her PW card. Her first ability is a White ability, very similar to Ajani, Caller of the Pride’s. cause Samut and Neheb already doing it means it’d just be crazy. New Perspectives + This guy is pretty GG in the correct deck. I think is awesome. Yeah pretty high cost for win with his stats but the locus army cycling for 0 can destroy the oponent. Grixis cycling approve. This will see play in commander forever. so… Beck // Call, Dire Undercurrents, or River Kelpie with some setup, so far both gods are capable of picking their decks. his tokens have haste so Locust can kill with his loops but he can’t be the commander and play those two. this is the first izzet commander i really want to build a deck arround. I love it. No Mizzix, Nin or Jhoira? Strong commanders, yes. but not my cup of tea. I like token strategies and having a board presence. not things izzet focuses on, i know. this one makes that possible though an therefore appeals to me. I like it. Idk if id use it /as/ a commander but i definatepy use it in one. Wheel decks, control punishment, weird temur creature based draw effects like edric or biomantic decks. Itd make a decent commander but it runs into the issue of it costs you basically a turn to use. A turn you may not have. He’s expensive but very good even without support. Comboriffic too- he serves as a win condition for any number of constructed decks that seek to draw cards since the tokens have haste. In standard he will be dwarfed by Torrential Gearhulk in shells that aren’t trying to abuse his triggered ability. Other forums have suggested the UB god lets you use creatures to generate -1/-1 counters so that Bolas’s pets together form an infinite combo. I’d love to see that. The three gods will make a combo like those artifacts from Kaladesh, I just know it. Prediction: the third god will say “Whenever a creature enters the battlefield, you may pay 1. If you do, put a -1/-1 counter on that creature.) That way, you can draw a card with Scorpion, make an insect with Locust, then kill it with the third one to draw as many cards as you want. you could also just draw your deck with Dire Undercurrents and kill them with your army of 1/1 flying hasty tokens. then have Laboratory Maniac as a one of if they blow up your board at instant speed or have too much life to cut through. So if all three gods link to form an unending loop, here’s how it will go. I mean it’s another UR wheel commander. Pretty cool tho. Would be nice if this god was either more “insect” or “human” as the proportions in the art are something awful. When I imagine this characters voice, I get the voice of Mort Goldman from the “Family Guy” stuck in my head. Great for commander but after checking few other cards that matches theme, he is just too combo enabling. EDH is for fun, not to instakill whole table as soon as he hit the board. Too many infinite combos. Instakills are ok when the game goes too long, but annoying if someone goes off on like turn 4. I want this for Zedruu. That can become quite a good win-con. his last effect as a commander does not cost him more mana when he dies. Unless you’re good at Magic, and like it when your cards are effective. Kind of random to include red. Locusts seem more like U/B, W/B, G/B creature to me. Random? haste little tokens are very Red. Draw and discard is a blue and a red thing. I mean sure, you can put vigilance on a demon and make it white, but that doesn’t mean it really fits the creature type that well. Seems like they were pushing to get the 3 gods fit the grixis colors a little too hard. Locust that devour magic sounds very red to me. Devouring enchaments like the Hekma or Artifacts. I mean, this insects have 0 black mechanics not even feels green. As it’s currently written, sure. However, it just so happens the only “locusts” previously in magic are green and black. We didn’t have mono white zombies before either. Red’s had cards like Sowing Salt and Skin Invasion. It’s less about what they are and more what they do. What is it about Sowing Salt or Skin Invasion that you think is out of color? It is in color. Red messes up landscapes and has some insects, therefore I know locusts (which are are known for messing up crops) is fine for Red flavor-wise. Now this card doesn’t destroy lands, but it does discard. You could say, much like a plague of locusts, you’re eating up resources to further the swarm. They’ll have a hard time keeping this Locust God and his tokens under control, much like a real swarm of locusts. I would agree, except his does nothing to lands. 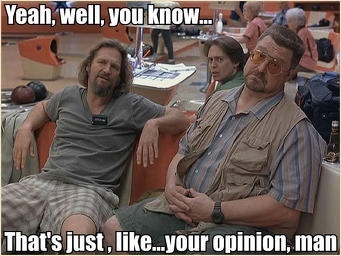 If it allowed you to sac some amount of locusts to destroy a non-basic land or something, sure, then I would get it. Even if the second ability said “discard a card: put a locust into play” it would fit more with the them of “eating up resources”. Literally the only thing strictly red about it is haste on the tokens, which seems tacked on. Looting is primarily blue ability (especially as it’s written on this card, where the draw is first). I’m now debating creating a Looter Madness EDH to take full advantage of this glorious insanity. He is orchestrating.. your DOOM! gonna make a janky enter the infinite OTK.